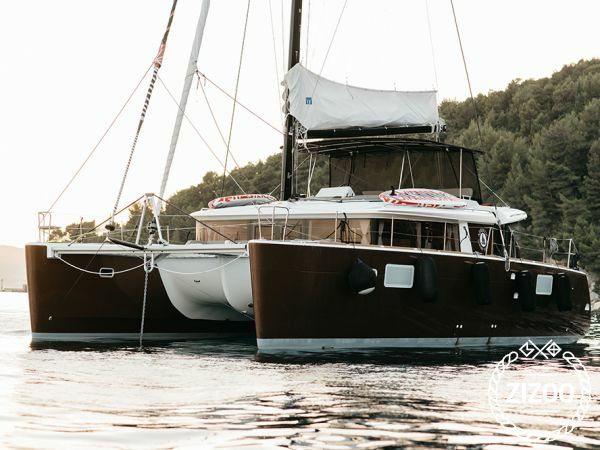 14 meters long, 8 meters wide, 4 double-bed cabins + a cabin for the skipper A special and unique catamaran will give you the true feeling of sailing you have never experienced before. The Princess Iva is a luxurious catamaran, one of a kind in the Adriatic and Mediterranean Sea. Every detail of the boat has been carefully selected for a luxurious sailing holiday of your dreams. With this boat you can expect the unexpected. This elegant and luxuriously furnished boat gives a feeling of prestige and comfort you can only expect from boats over 70 feet. Imagine a luxurious 160 square meter, 3-floor apartment that offers you the possibility to be at a different place every day!